Notes written by a great man for a great day. 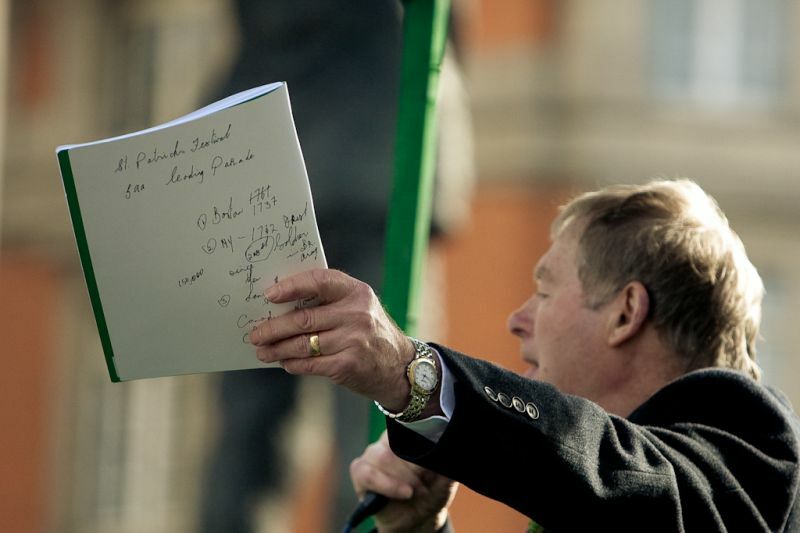 Half man, half legend; Mícheál Ó Muircheartaigh calling the Paddy’s day parade from up on high. G’wan ya good thing! This is an amazing photo, Ryan.